EEC’s Transportation Group provides full-range planning and design services for roadway and air traffic needs. We specialize in the preparation of documents supporting the construction process, from scoping meetings to construction staking and administration. Our Transportation Group is capable of preparing documents under federal as well as state and local design regulations. In-house disciplines include land surveying and right-of-way; hydrology; utilities; environmental planning; and roadway engineering design. While each discipline provides support on multi-disciplined project assignments, each is capable of providing individual task deliverables when necessary. 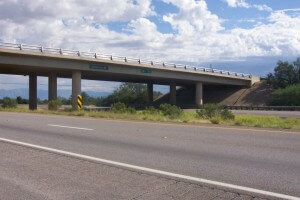 EEC performed engineering design for roadway and drainage improvements for 2.5 miles of Sahuarita Road and 2 miles of Nogales Highway including a new Santa Cruz River bridge for the Town of Sahuarita. 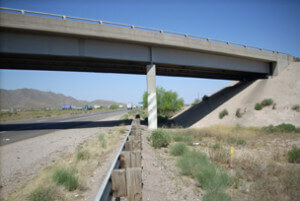 EEC is currently providing design services to the Town of Sahuarita for the reconstruction of the I-19 traffic interchange at Sahuarita Road. 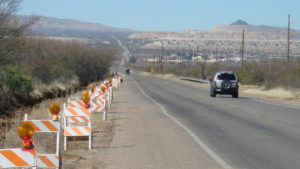 The Craycroft Road project is located in the foothills ofthe Santa Catalina Mountains in Pima County, Arizona.